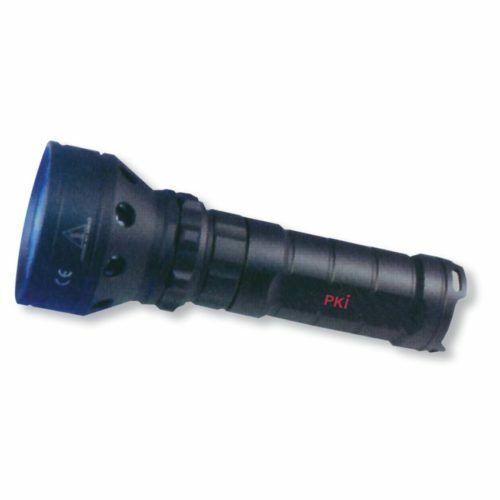 The PKI 9645 is one of the strongest torch lamps in the market and outshines any torch lamp with standard bulbs. Due to the solid aluminium housing its use is as versatile as could be, e.g. for outdoor operations. The energy-saving LED-lights allow extremely efficient use of battery power, which makes this torch a unique accessory at numerous activities. Various: extra solid aluminium housing, with non-slip hand grip, holster, rechargeable battery and power plug included.